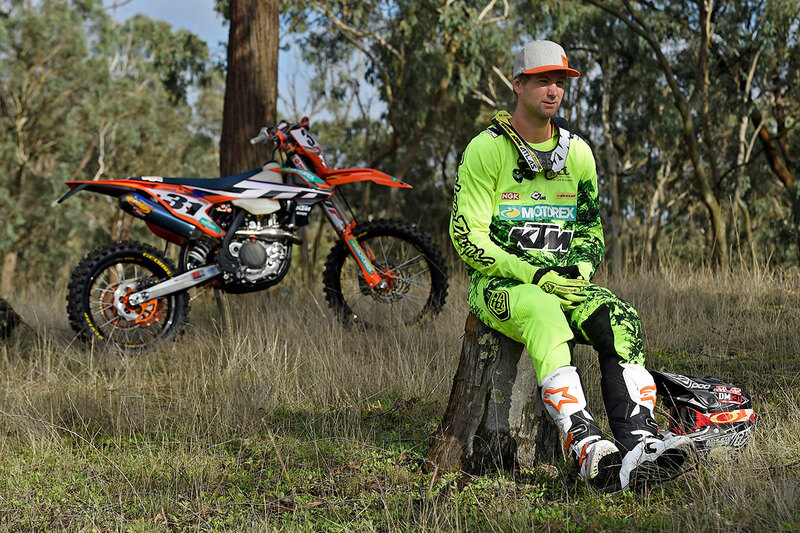 After the perfect year in 2017, KTM Enduro Racing Team’s Daniel Milner will be back to defend his outright crown in the 2018 Yamaha Australian Off-Road Championship (AORC), when it begins in Gympie, Queensland, on 10-11 March. 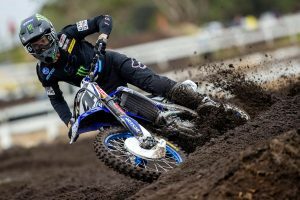 Hear from him ahead of the opener, set to ride a 500 EXC in the E3 ranks this season. 2017 was the perfect season for you. At what stage did you think the perfect season was within reach? It’s hard to say. It was towards the end of the year that we started to think of it, but in reality it was only after the second-last round we actually realised that if I had a consistent two days at the final round we were every chance of pulling it off. To add to the great success of 2017, it was your first year on the KTM Enduro Racing Team. 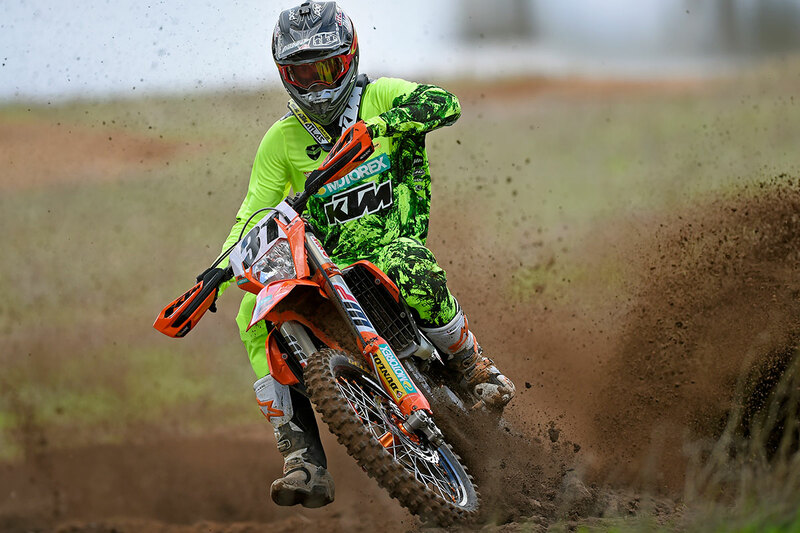 What did you like about the KTM and what made you click so fast with the bike? To be honest it was just the bike. I’ve been on a Japanese bike my whole career, so jumping on the European bike was a bit of a worry, but with KTM having such a good name for themselves in the enduro world, I had confidence I would like the bike. I felt at home basically as soon as I jumped on it, I felt comfortable with the bike and it just went from there. I really thought it would take longer, but within the first few weeks I felt at home – was definitely a good change. With AORC fast-approaching, what have you been up to over the off-season? This year has been good. This is the first year I have had a good season and then backed it up with a good off-season, since I’ve normally had an injury or something go wrong after a successful season. The bike preparation has gone really well at this point as we have made the change from the factory 52 forks to the 48s and we have a really comfortable setting, which you can buy from a WP dealer – that’s a new concept as you normally couldn’t buy these forks. In terms of training, I may have gotten a little bit overweight, so we have done a lot more fitness training basing it around cardio after last year, as I felt like I lacked in this area. I am feeling as fit as ever as I ever have heading into round one at Gympie, it’s making me feel comfortable on and off the bike. I’m looking to pick up where I left off last year, it’s been a long off-season and we have put in a lot of work and effort and I’m as hungry as ever this season with people returning that I want to beat. This year you are making the jump to the E3 class. What was the reason behind that move? I have never had to opportunity to ride the E3 class. It’s something I’ve wanted to do my entire career and when the chance came up to jump on the 500, I was going to take it. 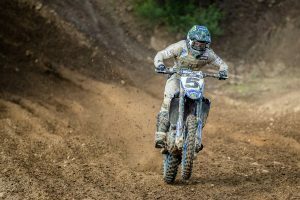 The extra torque the 500 offers suits my riding style to a tee, as I always ride the bike in a higher gear, and the extra torque is just awesome. I really feel like this is the best decision I’ve made so far. It’s a new bike and it’s suiting me so well – I’m really looking forward to getting out there on it and taking on my first race. I actually can’t wait to get out there and try to win the ‘triple crown’ as no one has ever done that, but we will wait to see how I go. Who will be your biggest rival for the E3 title in 2018? Lachlan Stanford on his Husqvarna, he is always strong. 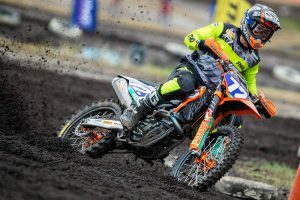 The field isn’t as deep as I thought it was going to be, as the talk was that Josh Green and a few of the other guys would make the jump, but unfortunately these guys aren’t going to be riding in the class. I’m looking forward to battling with Stanford throughout the season. What are goals for the 2018 season? I’m looking to win everything. We want to back up last year and continue to win titles. Hattah is a big one for me after winning that race last year, I want to return and win it again. The big one for me in 2018 is the Australian Four Day Enduro (A4DE), which is something that I really want to win since it’s returning and back to where it all started. I’ve won A4DE four times, but the 2016 loss to Mathias Bellino and Chris Hollis really baited me up – I’m still dwelling on that, so ill be pushing to win the A4DE. The vibe around my team just makes me want to keep pushing and keeps me motivated to win for these guys with all the effort they put in.